This has to be one the craziest case mods I have seen so far a the iToilet. 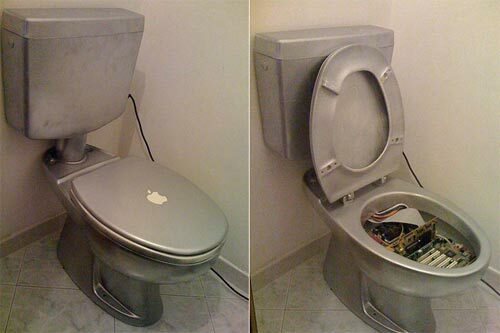 Yes a couple of guys used an actual toilet for a case for their PC, then sprayed it silver and added an Apple Logo. What happens when a normal person finds a toilet along a street?